Preferred League entries by clubs. Will be finalized next week, they look fairly well balanced compared to previous years. I thought isles would of went for 2 again myself. 4 seems to low for them. 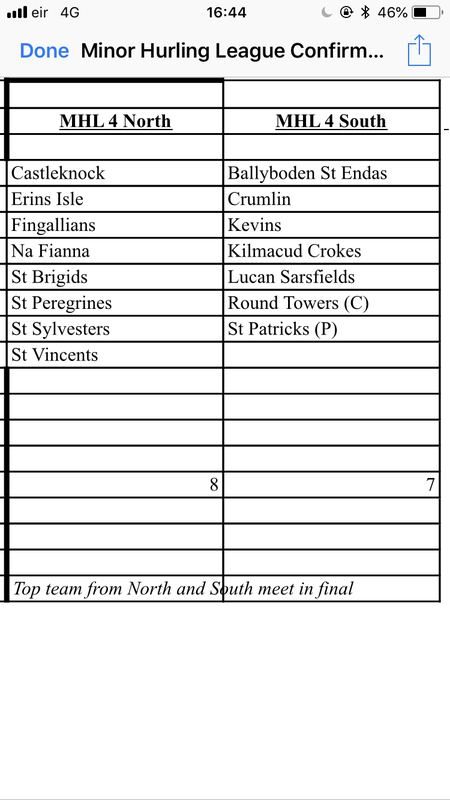 Towers doing well to field two minor teams, they must have big numbers. Couple of changes to the original club requests. 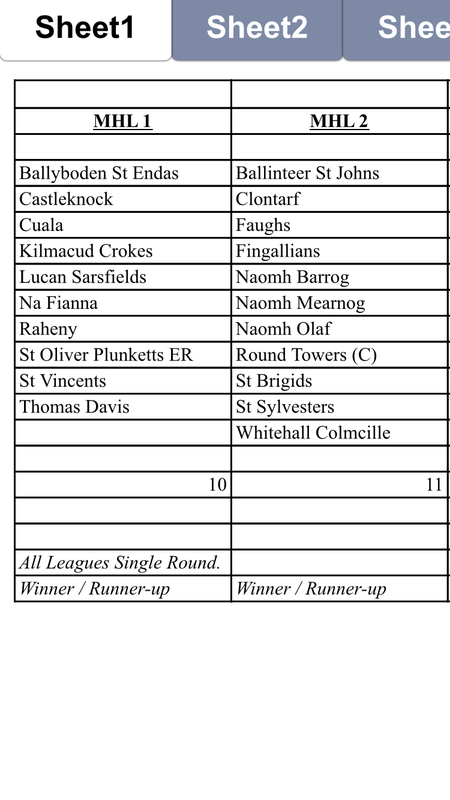 Balinteer and Faughs go to 2 and na fianna to 1. Not sure about the other leagues. 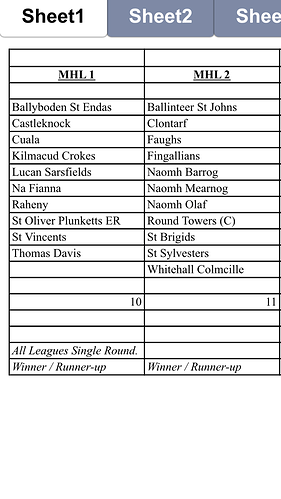 These are the confirmed leagues for 2019. Let’s hope there is no revised leagues this year, they look well balanced on paper. 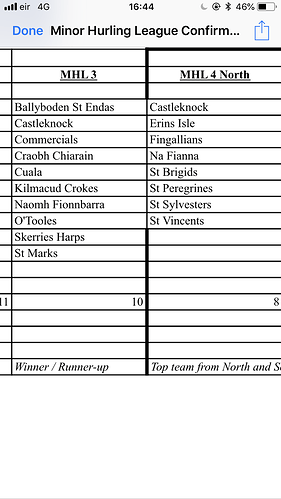 Faughs should be very competitive in Minor D2 this year. They were very strong at u16 and 15 last year. 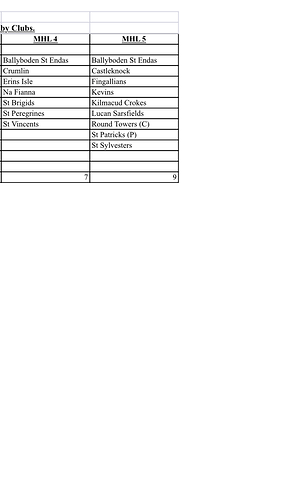 Minor hurling leagues up on hill16.ie now. 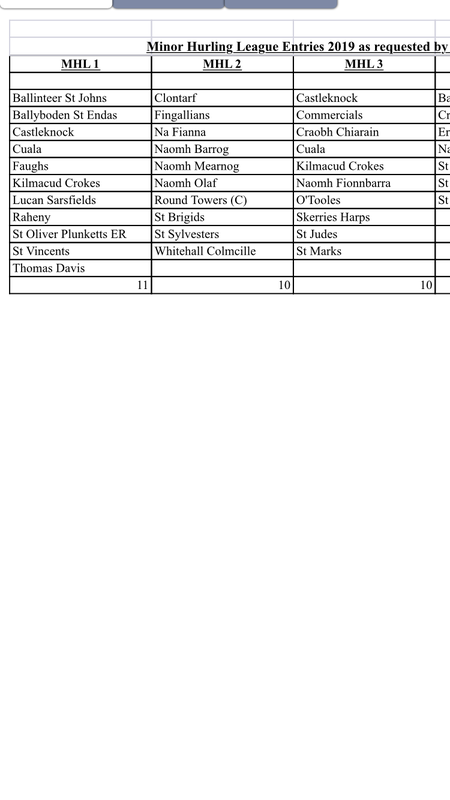 Is it true that Dublin U20 panelists cannot play club games? If it is it’s a complete joke. If it is the clubs should stand up and refuse to release players to the county and insist that they play for their clubs. We’ll find out next weekend I guess. Crokes beaten by Castleknock in an entertaining game. 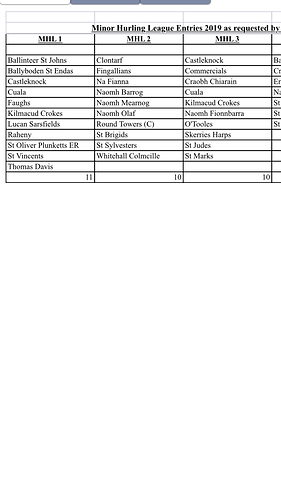 Crokes missing 5 or 6 Colaiste Eoin lads. Surely that can’t be enforced ? 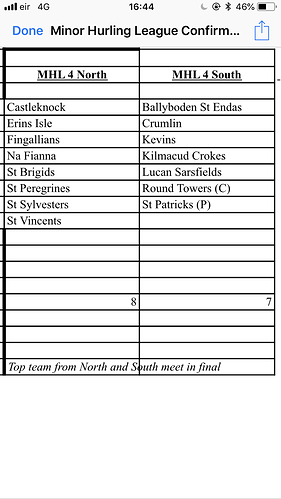 Dubs play first U.20 championship game on 26th June . Can’t be enforced unless clubs lie down and allow themselves be walked all over.